August 3, 2003 – NWA TNA Xplosion: Frankie Kazarian defeated “Kool” Seth Delay..
January 24, 2004 – NWA TNA XPLOSION: Chris Sabin defeated Seth Delay..
January 1, 2005–NWA Wildside: Salvatore Rinauro & Seth Delay & Zero X beat Vito & Sal & Junior Thomaselli..
January 7, 2005–Full Impact Pro Wrestling: Vordell Walker defeated Seth Delay..
January 8, 2005–Full Impact Pro Wrestling: Erick Stevens defeated Seth Delay..
January 22, 2005–NWA Florida: Sedrick Strong beat Mikey Batts, Jerrelle Clark & Seth Delay in a 4-WAY Last Man Standing match..
February 19, 2005–NWA Wildside: Jay Fury & Nick Halen & Slim J beat Salvatore Rinauro & Seth Delay & Zero X..
March 26, 2005–NWA Wildside: Salvatore Rinauro & Seth Delay & Jimmy Rave beat John Phoenix & Adam Jacobs & Jason Cross..
April 2, 2005–NWA Wildside: Salvatore Rinauro & Seth Delay & Patrick Bentley b Nick Halen & Ken Westbrooks & Randall Johnson..
April 16, 2005–NWA Wildside: Salvatore Rinauro & Seth Delay & Fast Eddie & Patrick Bentley b The SAT & Nick Halen & Jay Fury..
April 22, 2005–NWA Florida: Seth Delay beat Naphtali and Josh Rich and Chasyn Rance and Kahagus in a 5-WAY..
April 30, 2005–NWA Wildside: Jason Cross & John Phoenix & Air Paris defeated Salvatore Rinauro & Seth Delay & Fast Eddie..
May 21, 2005–NWA Anarchy (debut): Salvatore Rinauro & Seth Delay won a Gauntlet match to become the 1st NWA Anarchy Tag Team Champions..
June 12, 2005–Elite Championship Wrestling: Forsaken won an 8-MAN Elimination match to become the 1st Elite Impact champion! 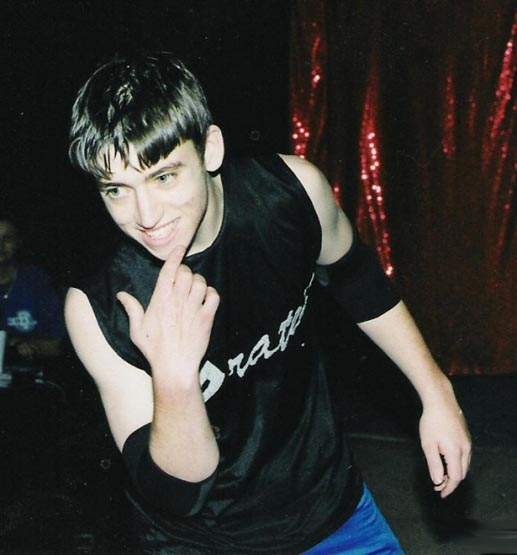 ~~~Forsaken beat Salvatore Rinauro, Todd Sexton, Street Bandit, Brian Sterling, Skeeter Frost, Chasyn Rance & Seth Delay..
June 18, 2005–NWA Anarchy: Seth Delay & Patrick Bentley defeated Skeeter Frost & Nick Halen…. 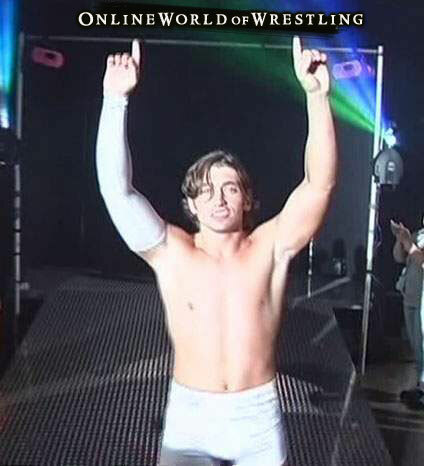 July 2, 2005–NWA Anarchy: Seth Delay defeated Gabriel..
July 16, 2005–NWA Anarchy: Salvatore Rinauro & Seth Delay & Patrick Bentley beat Skeeter Frost & Cru Jones & Ken Westbrooks..
July 30, 2005–NWA Anarchy: Salvatore Rinauro & Seth Delay & Patrick Bentley beat The Lost Boys & Altar Boy Luke..
August 6, 2005–NWA Anarchy: Adam Roberts & T.C. Carnage defeated Seth Delay & Salvatore Rinauro to win the Tag Team titles..
November 5, 2005–NWA Anarchy: Seth Delay & Chad Parham (aka Gabriel) beat Pomp & Circumstance (Ace Rockwell & Shaun Tempers)..
November 11, 2005–FIP: Austin Aries & Adam Pearce & Shane Hagadorn beat Chasyn Rance & Seth Delay & Altar Boy Luke..
November 22, 2005–Wildside Reunion: Seth Delay & Chad Praham & Patrick Bentley beat Delirious & T.J. Dalton & Hayden Young..
December 10, 2005–Full Impact Pro: Seth Delay beat Chasyn Rance and Kahagas and Benny Blanco and Jason Moore in a 5-WAY..
January 6, 2006–Full Impact Pro: Seth Delay & Chasyn Rance defeated Angel Armoni & Jaison Moore..
January 7, 2006–Full Impact Pro: Seth Delay & Chasyn Rance & Benny Blanco beat The Heartbreak Express & Kory Chavis..
January 20, 2006–Full Impact Pro: Seth Delay & Chasyn Rance defeated The Heartbreak Express by DQ..
February 4, 2006–NWA Anarchy: Mikal Adryan & Onyx & Jeff Bailey beat Chad Parham & Seth Delay & Patrick Bentley..
February 17, 2006–Full Impact Pro: Seth Delay & Chasyn Rance defeated Black Market by Disqualification..
March 11, 2006–NWA Anarchy: Alabama Attitude (T.C. Carnage & Adam Roberts) defeated Seth Delay & Patrick Bentley..
April 1, 2006–NWA Anarchy: Alabama Attitude/Onyx/Mikel Adryan beat Sal Rinauro/Chad Parham/Seth Delay/Patrick Bentley..
April 7, 2006–Full Impact Pro: Black Market beat The Heartbreak Express and Seth Delay & Chasyn Rance in a 3-WAY..
April 15, 2006–NWA Anarchy: Salvatore Rinauro & Seth Delay & Patrick Bentley defeated Onyx & Adam Roberts & TC Carnage..
May 20, 2006–NWA Anarchy: Seth Delay & Patrick Bentley defeated Adam Roberts & Chrijen Hayme…. June 9, 2006–Full Impact Pro: Jerrelle Clark & Jay Fury defeated Seth Delay & Chasyn Rance……..
June 17, 2006–NWA Anarchy: The Devils Rejects (Shaun Tempers & Tank) won a 4-WAY to capture the Tag Team titles..
~~~The Devils Rejects beat Urban Assault Squad and Alabama Attitude and Seth Delay & Patrick Bentley in a 4-WAY..
July 15, 2006 – ROH: Delirious defeated Seth Delay in a dark match..
September 4, 2006 – RAW: Seth Delay played a security guard during a segment involving The McMahons and Degeneration-X..
September 8, 2006–FIP: YRR (Steve Madison/Chasyn Rance/Kenny King) beat Roderick Strong/Erick Stevens/Seth Delay..
October 7, 2006–NWA Anarchy: Seth Delay & Patrick Bentley defeated NWA Elite (Onyx & Jeff Lewis w/Jeff G. Bailey)..
October 14, 2006–Full Impact Pro: Seth Delay defeated Cyber Kong by Disqualification..
November 18, 2006–NWA Anarchy: Seth Delay defeated Adrian Hawkins…. December 2, 2006–NWA Anarchy: Seth Delay & Patrick Bentley defeated (Phil) Shatter & Truitt (Fields)..
December 15, 2006–FIP: Sal Rinauro/Chasyn Rance/Kenny King w/Daffney beat Colt Cabana/Seth Delay/Jerrelle Clark..
~~~YRR (Steve Madison & Sal Rinauro & Chasyn Rance & Kenny King) beat Black Market & Seth Delay & Jerrelle Clark..
December 30, 2006–NWA Anarchy: Brodie Chase & Brandon Phoenix beat Bentley & Delay (Bentley and Delay split)..
January 6, 2007–NWA Anarchy: B.Chase & B.Phoenix defeated S.Delay & P.Bentley (Delay walked out on Bentley)..
January 13, 2007–Full Impact Pro: Salvatore Rinauro defeated Seth Delay in a TLC match..
February 2, 2007–Full Impact Pro: Erick Stevens defeated Seth Delay and Gran Akuma and Jigsaw in a 4-WAY..
March 2007: Seth Delay formed a tag team with Andrian Hawkins known as “The World’s Prettiest Tag Team” in NWA Anarchy..
April 21, 2007–Full Impact Pro: “Sweet & Sour” Larry Sweeney defeated Seth Delay in the opening match..
May 5, 2007–NWA Anarchy: Seth Delay & Adrian Hawkins won an 8 Team Mega Rumble (eliminating The Hollywood Brunettes)..
~~~~~~The Awesome Attraction defeated Seth Delay & Adrian Hawkins to retain the NWA Anarchy Tag Team titles by DQ..
May 19, 2007–NWA Anarchy: Seth Delay & Adrian Hawkins defeated The Hollywood Brunettes by Disqualification..
June 29, 2007–Full Impact Pro: The Heartbreak Express’s Team defeated The YRR’s Team in a Four-on-Four Melbourne Street Fight..
~~~The Heartbreak Express & Seth Delay & Steve Madison defeated Chasyn Rance & Kenny King & Mad Man Pondo & Ricky Vega..
July 21, 2007–NWA Anarchy: Anger Alliance defeated The World’s Prettiest Tag Team & The Hollywood Brunettes..
~~~The Anger Alliance Consisted of; Brodie Chase & Brandon Phoenix & Adam Roberts & Don Matthews..
August 18, 2007–Full Impact Pro: Seth Delay defeated Austin Amadeus in Crystal River, Florida ..
August 19, 2007–Full Impact Pro: Jason Blade w/The YRR defeated Seth Delay in Arcadia, Florida ..
September 1, 2007–NWA Anarchy: Seth Delay defeated “The Wizard of Aaaaaaaahs” Andrew Alexander by Disqualification..
September 15, 2007–NWA Anarchy: The Hollywood Brunettes defeated Seth Delay & Adrian Hawkins by DQ (Tournament Match)..
October 27, 2007–JAPW: B-Boy beat Bandido Jr. and Joker and M-Dogg20 and Sal Rinauro and Seth Delay in a 6-WAY..
November 3, 2007–NWA Anarchy: Derrick Driver & Steven Walters & The World’s Prettiest Tag Team beat The Anger Alliance ..
~~~~~~~~~~~~~~~~~~~~The Anger Alliance consisted of Brodie Chase & Brandon Phoenix & Adam Roberts & Don Matthews..
December 29, 2007–NWA Anarchy: The Anger Alliance defeated The World’s Prettiest Tag Team & Sal Rinauro..
January 5, 2008–NWA Anarchy: The Devil’s Rejects defeated The Awesome Attraction & The World’s Prettiest Tag Team..
~~~Iceberg & Shawn Tempers & Azrael & Patrick Bentley beat Austin Creed & Hayden Young & Seth Delay & Adrian Hawkins..
January 25, 2008–Alternative Pro Wrestling: Chris Mayne (w/Kevin Duncan) defeated Seth Delay by DQ in Royston, Georgia..
February 1, 2008–Alternative Pro Wrestling: Don Mathews defeated Kool Seth Delay with the Lariat…. 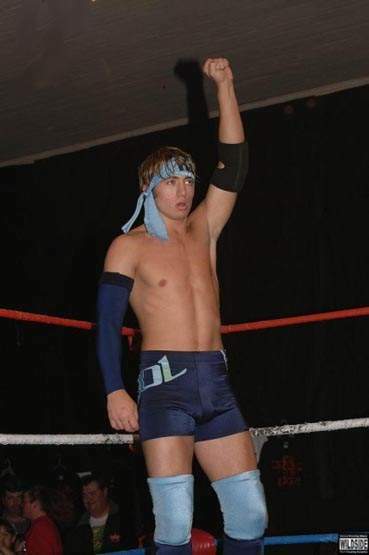 February 16, 2008–Full Impact Pro: YRR member Chasyn Rance (w/Rain & Lacey) defeated Seth Delay..
March 22, 2008–Full Impact Pro: Heartbreak Enterprises (Damien Wayne & Rex Sterling) defeated Jigsaw & Seth Delay..
April 18, 2008–Alternative Pro Wrestling: Jeremy Vain beat Don Matthews and Slim J and Seth Delay in a 4-WAY Elimination match..
April 26, 2008–Full Impact Pro: Damien Wayne (w/Heartbreak Enterprises & Babydoll) defeated Seth Delay..
May 30, 2008–Alternative Pro Wrestling: Seth Delay defeated Justin Dirt in Royston, Georgia ..
July 18, 2008–Alternative Pro Wrestling: Seth Delay defeated Brandon Parker earning a shot at the North Georgia title..
August 29, 2008–Alternative Pro Wrestling: Seth Delay defeated Dustin Michaels to retain the North Georgia title..
September 14, 2008–Alternative Pro Wrestling: Chris King & Consequences Creed defeated Seth Delay & The Royston Brawler. October 3, 2008–Alternative Pro Wrestling: North Georgia Champion Seth Delay vs. Aaron Lee ended in a No Contest ..
~~~The two men played cards instead (The fun was ended when “CK-1” Chris King forced the two to play 52 pick-up)..
November 7, 2008–Alternative Pro Wrestling: Seth Delay defeated Chris Damien in Royston, Georgia ..
November 14, 2008–Alternative Pro Wrestling: North Georgia Champion Seth Delay defeated Slim J in Royston, Georgia ..
November 21, 2008–Alternative Pro Wrestling: Chris King defeated North Georgia Champion Seth Delay by Countout..
November 28, 2008–Alternative Pro Wrestling: Team King beat Team Kool in an 8-Man Elimination Match in Royston, Georgia ..
~~~Chris King & Bo Newsome & Donovan Sweet & Brad Logan beat Seth Delay & Jeremy Vain & Aaron Lee & Anthony Henry..
~~~~~~~~~~~~~~~~~~~~~~~~~~~~Chris King was the sole survivor pinning North Georgia Champion Seth Delay for the win! December 5, 2008–APW: Chris King capped off his 7-month chase by pinning Seth Delay for the North Georgia championship..